Drake and Kanye have eight nominations, Chance has seven, and Desiigner has one. But what are their chances? The nominations for the 2017 GRAMMYs are finally here, which means your Twitter feed is probably looking like a schoolyard fight between music snobs right now. To absolutely no one’s surprise, Beyoncé leads the way with a total of nine nominations this year thanks to her record-breaking, Platinum-selling album Lemonade (she’s now the most nominated female artist in GRAMMYs history). 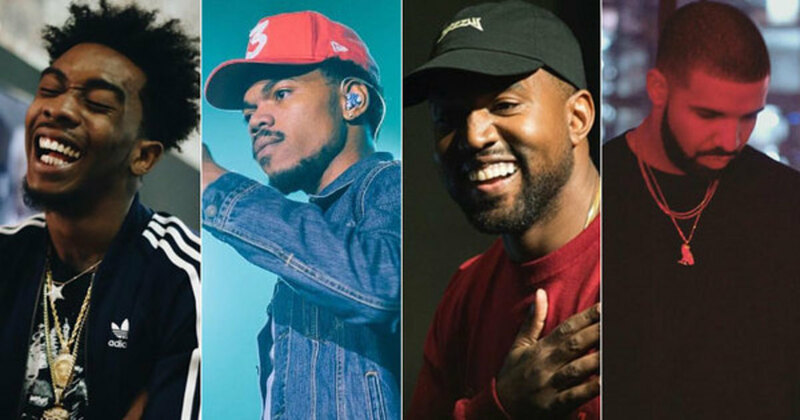 Drake, Kanye West, and Rihanna follow closely behind with eight nods each, while Chance The Rapper is up for seven awards, including Best New Artist. Yep, Chano successfully petitioned to change the rules for Recording Academy eligibility and wound up as the third most nominated artist. 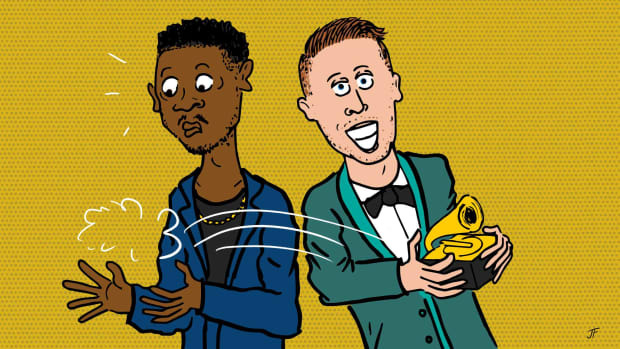 That isn’t the only big story, though: Desiigner, Lil Yachty and Anderson .Paak all pick up their first GRAMMY nominations—and if any of them win, they&apos;ll have more gold gramophones than legends like Nas, Tupac, and Biggie; rap veterans Fat Joe and De La Soul make surprising but welcome returns to the GRAMMYs; and maybe those eight nods will be enough to persuade Kanye to show up at the ceremony next February (hopefully someone cleared up that Frank Ocean situation for him). 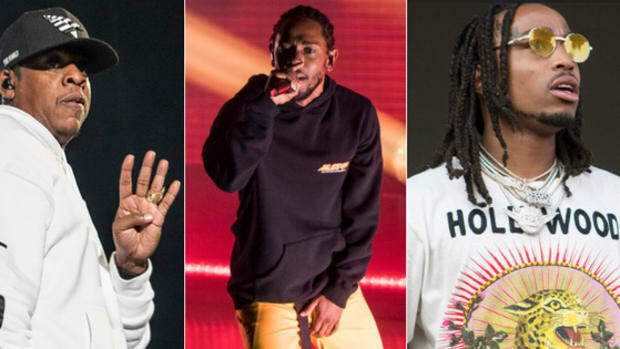 Unfortunately, the Big Three — Record of the Year, Album of the Year and Song of the Year — are looking a little light on hip-hop this year. So let’s take a look at the rap categories (which still won’t be televised, *sigh*) and break down the winners and losers of each category. Winners: Chance The Rapper. He’s the first indie artist to perform on SNL (December 17 will be his third appearance), the first artist to chart solely off streams (57 million first week, to be exact), and now the first artist ever to get nominated for a GRAMMY off of a mixtape (“Am I the only n*gga still care about mixtapes?”). De La Soul’s inclusion is awesome, even if And the Anonymous Nobody... wasn’t a particularly great album. ScHoolboy Q deserves to win as much as anyone else, but Views and The Life of Pablo might have something to say about that. DJ Khaled won’t shut up until February. Losers:Jeffery (“We need to see Young Thug at the Grammys. Not just me and Jay in a suit” — Kanye West, February 2016). Danny Brown and Isaiah Rashad were always outside bets, but Travis Scott was very unlucky not to get a nod — Birds In the Trap Sing McKnight was a No. 1 album with a summer smash (“Pick Up the Phone”). It’s safe to assume Kendrick Lamar didn’t submit untitled unmastered. with it not being a proper album (and, you know, to give everyone a shot at winning before he cleans up in 2018). Prediction: In a perfect world, Coloring Book. In an imperfect world where Donald Trump is President, Views. Winners: Chance The Rapper, again. 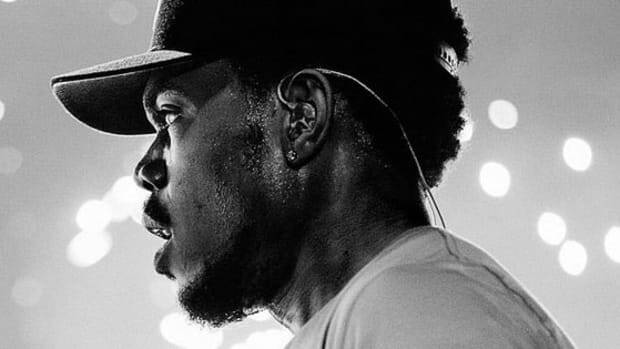 Thanks to his contributions to Kanye West’s The Life of Pablo, Chano has three nominations in this category alone (“No Problem,” “Ultralight Beam” and “Famous”). Kanye West’s two nods might ease the blow to his ego of getting overlooked for Album of the Year, while Fat Joe and Remy Ma’s “All the Way Up” is the most New York thing on a GRAMMYs list in years. Interestingly, a Cash Money “clerical error” meant Drake’s “Hotline Bling” wasn’t submitted for GRAMMY consideration last year. But thanks to its inclusion on Views, which dropped in April—well within this year’s eligibility period—the song is up for multiple GRAMMYs next February, a full 18 months after its initial release. Losers: If “All the Way Up” got nominated, “Ooouuu” was well within a shout. Sure, Fat Joe and Remy Ma lured Jay Z out of hiding for the remix, but Nicki Minaj jumped on Young M.A.’s hit all by herself. Plus, “Ooouuu” charted higher, has more YouTube views and spawned its own Hennessy label. Desiigner’s “Panda” is perhaps an even bigger omission, despite it being nominated for Best Rap Performance, while Rae Sremmurd and Gucci Mane’s “Black Beatles” may have gone viral too late in the year. Winners: Desiigner. Hate it or love it, “Panda” was one of the most inescapable hits of the year and took an 18-year-old kid from Brooklyn to the top of the Billboard charts (and to Pusha T’s G.O.O.D. Music label) practically overnight. Shouts to the producer Menace, too, who sold a beat to some guy he never heard of and saw his life change, all the way on the other side of the pond. The internet never fails to amaze. Prediction: A toss up between Desiigner’s “git, git, git!” and Chance’s “igh, igh, igh!” May the best ad-lib win. Winners: D.R.A.M. and Lil Yachty. Oh man, if “Broccoli” wins—and it has a strong case—people are gonna be madder than when Bill O’Reilly met Cam’ron. The thought of D.R.A.M. and Yachty stepping onto that GRAMMY stage, all goofy smiles and flowing locks, to collect a gold gramophone for a song about weed makes me happier than the Big Baby D.R.A.M. cover. D.R.A.M. beating out Drake would only make the victory sweeter. Losers: D.R.A.M. and Lil Yachty—and everyone else in this category not named Drake because, well, "Hotline Bling." Over two million sales, a top 10 hit for 19 weeks and an unforgettable music video that’s racked up over a billion views and spawned an SNL parody starring Donald Trump—“Hotline Bling” is a shoe-in. Fun fact: it’s also the first time a solo song has appeared in this category, which is usually reserved for collaborations. I suppose Drake qualifies for being two artists when he talks about hitting licks in a Lexus one minute and wishes for apologies for Christmas the next. 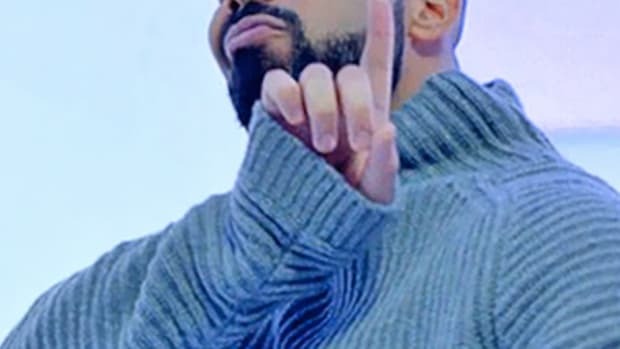 How many number one hits does Kanye have? 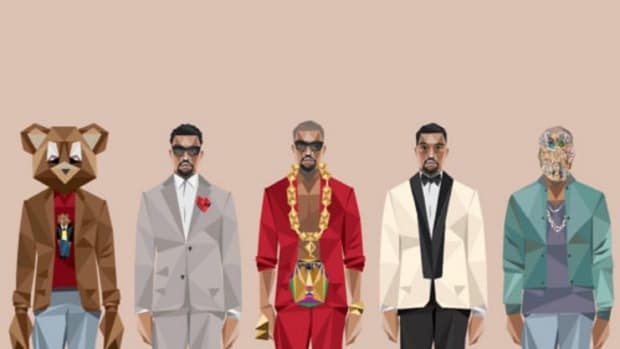 Which Kanye album has the most guest features? Forget Twitter, these are facts only. 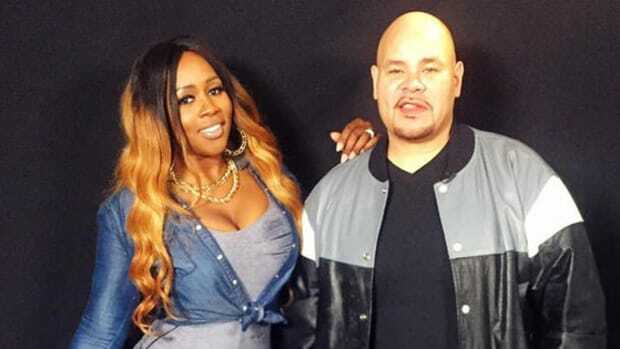 Remy Ma on GRAMMY Nods: "We Didn’t Pay Anyone to Get a Nomination"
A lot of accolades are bought and paid for in the music business, but "All The Way Up" won without selling out.